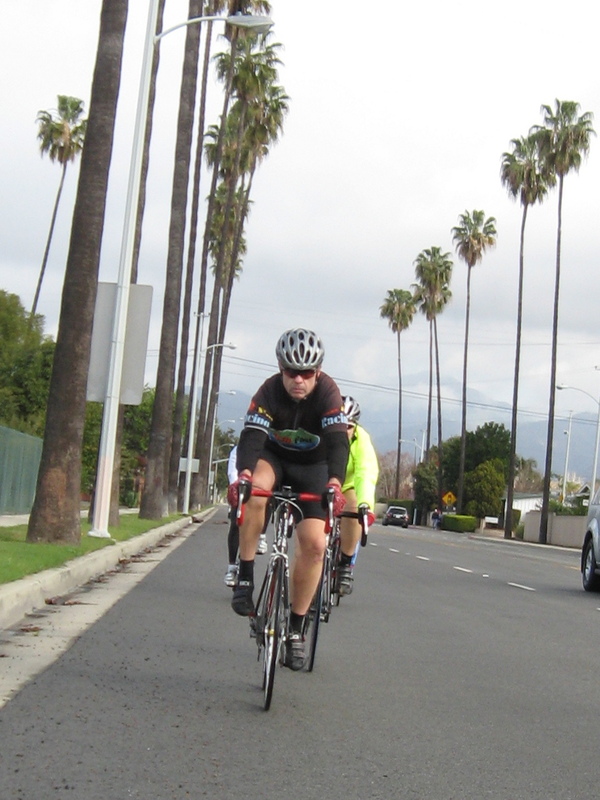 Today’s bike club ride was one we’ve only done once before. 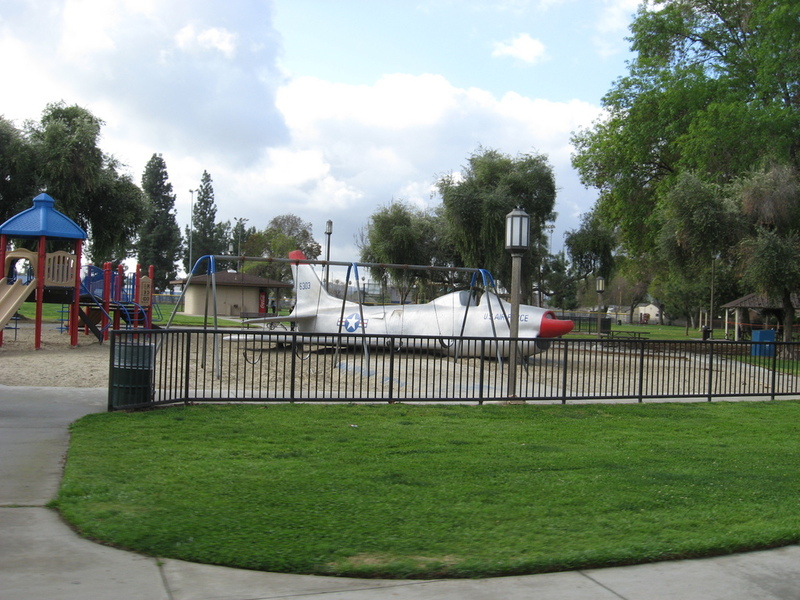 A while back, I was looking at Roadside America, and they had a bit about a park in West Covina that has a full-sized model of an F-86 Sabre jet in the playground. I thought that this might make for an interesting sightseeing pairing with the sea monster playground at Vincent Lugo Park in San Gabriel. 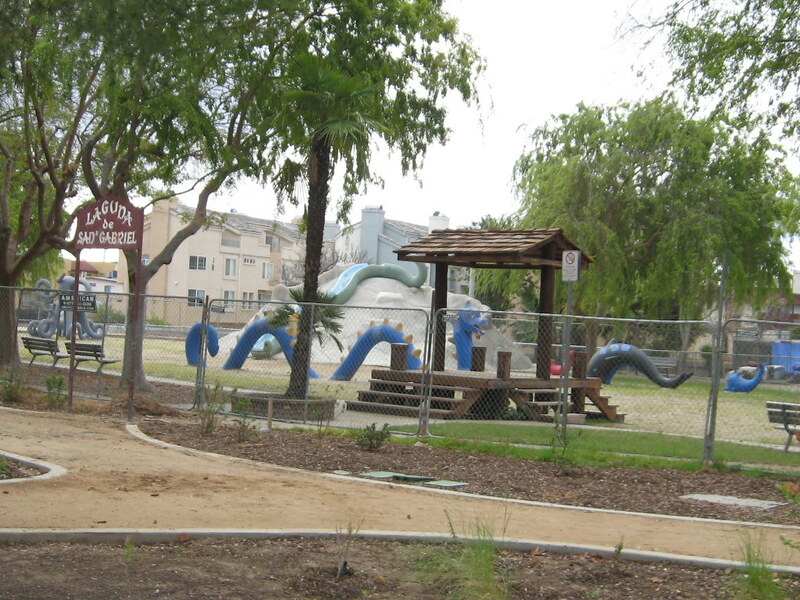 Sadly, the park in San Gabriel is still under construction. The city parks department says that the sea monsters will not be altered, but the rest of the park is being rebuilt. And so, for the time being, we can only look at the monsters from a distance. Heading east from there, we rode out to West Covina, where we saw the F-86. Interestingly, the plane is made of solid cast concrete, so I’m not sure it would pass muster for playground equipment safety today. But the F-86 was used in the Korean War, so this model probably dates back to the early 1960s, when we didn’t worry about such things. Our snack stop was at Panera in West Covina. Then we rode home by way of the Santa Fe Dam Nature Area.